Goes to show that girls weren’t always believed. Although, in that case, she should’ve been. And now days, when they are believed, it’s some times wrong for them, to be. Some sad things have been done in the past. Burning witches is one of them. But still killing people…doing god’s work. God doesn’t need help like that; he might indeed tell & send them where to go. I have quite shortly found this site while searching the web for topics around the death penalty. I know that my point of view is not at all political correct in our days. 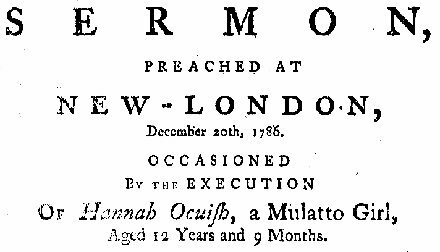 If Hannah had truly murdered Eunice, then her hanging was no deed of shame. Nobody can tell me that a 12 year old girl does not know that freewillingly killing a child weaker than oneself is an evil doing. Murder is another thing than petty deeds that youngsters might do out of childish thoughts. The minister was right that Hannah could well habe become a true threat for others as the groundstock of the selfsuchness builds up yet in childhood. Some yearhundreds ago, the mindset of time brought forward gruesome punishings. We have reached at the witherdeal of too mild punishing. We all get punish for our wrong doing,when Hanna put the rocks on the little girls body to make believe an accident, she knew right there that what she did was wrong,…if u read some more it says that she was a bully with the younger kids,it means she was a criminal on the making. She knew right from wrong ,but she didn’t had a responsible ADULT figure to guide her in live.its breaks any body’s heart.and let tell the person from Europe…over there they use to have the worst tactics to make a person suffer before they die. All that is stated right there in the post’s text and footnote. Beyond that, it’s an abiding mystery why some people consider the age *at execution* to be so critically important. If you hang someone for the crime they committed at age 10, you’re hanging the 10-year-old — you’re judging the 10-year-old’s capacity and the 10-year-old’s act. Hanging an 18-year-old for a 15-year-old’s crime is executing a juvenile offender. Hanging a 25-year-old for a 10-year-old’s crime is executing a pre-adolescent offender. The statement that James Arcene was the youngest person to be hanged in the USA appears to be wrong. This story says he was ten or eleven. On this same site, the story page regarding his case says, he claimed to be ten or twelve years old when the crime he was charged with was committed. The murder he was charged with committing happened on November 25, 1872, he wasn’t hanged until June 26, 1885, roughly thirteen years later. If he was ten years old when the crime was committed he was hanged when he was roughly twenty three years old, far from the youngest. Guilty or not. You don’t murder children under anycircumstances We obviously can’t choose who sires us. One thing for sure, their murderers are guilty. I pray those kids were embraced by God. RIP. 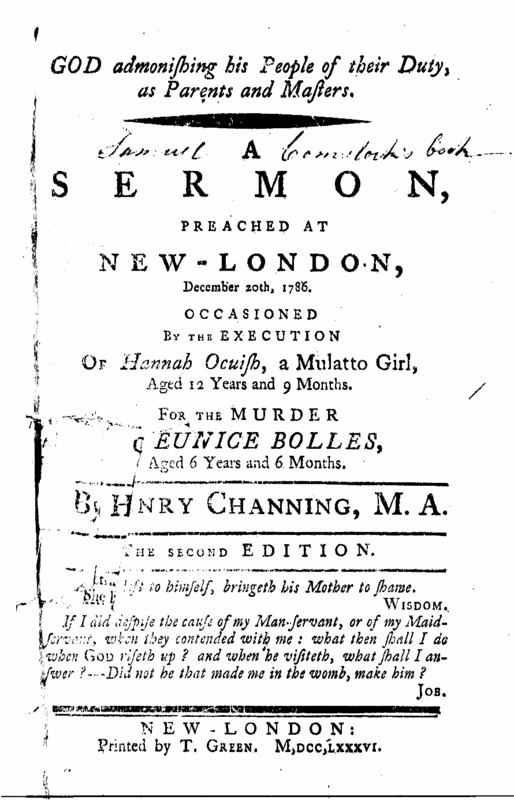 Was Eunice Hannah’s half sister (same father)? Therefore, it could have been a case of sibling rivalry. for a girl that young. This is so horrible , I’m just at a loss for words …………. Pingback: ExecutedToday.com » 1885: James Arcene, the youngest juvenile offender hanged in the US? We in America are happy you’re in Europe too! Can anyone tell me how to cite this page?